The call for profound change from the Group Health Research Institute (GHRI) scientist was refreshing: "It is time for all stakeholders making or influencing health and medical care decisions to step back, take a collective breath, and consider what they can do to restructure the highly reductionist biomedical approach to health, illness, and disease that continues to fall short of meeting the needs of many Americans suffering from chronic back pain and other health problems." The writer is Dan Cherkin, PhD, a GHRI senior scientific investigator. 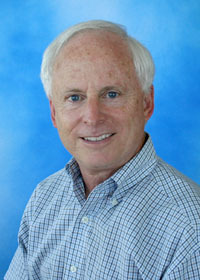 One of the top researchers in integrative health community, Cherkin has served on the Advisory Council to the National Center for Complementary and Integrative Medicine (NCCIH) and as an advisor to the Patient-Centered Outcomes Research Institute (PCORI). The occasion of Cherkin's call to end the dominance of reductionist approaches was the publication of the most recent of his papers in the prestigious Journal of the American Medical Association. The randomized controlled trial (RCT) examined the value of mindfulness-based stress reduction for people with low back pain. His call for transformation of pain care grew out of a pattern of outcomes from multiple trials of non-pharmacologic approaches to low back pain. In RCTs examining mindfulness, yoga, acupuncture, and chiropractic, each proved better than regular medicine. Yet each was not significantly better than the research control, or "sham." 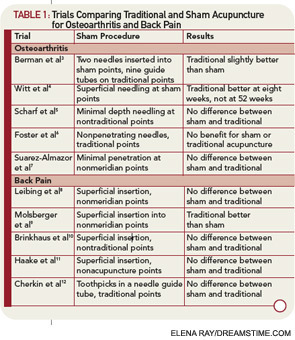 The typical headline: "Acupuncture for low back pain: Real no better than sham." Or this: "Acupuncture is a theatrical placebo." The implication is that acupuncture -- and the others -- are thus worthless. Cherkin doesn't think so. He reflects: "It is intriguing to compare the results of this recent trial with those of our previous trials evaluating the effects of physical treatments for chronic non-specific low back pain." Mindfulness was no better than cognitive behavioral therapy. Yoga was no better than slow stretching. Acupuncture no better than "sham" needling. Chiropractic treatment no better than the sham he chose there. Yet in each of these scientific trials, both intervention and sham were better than regular care. Something valuable was going on. Cherkin concludes: "Clinicians and researchers have been underestimating the benefits to patients of receiving care within a credible and supportive context -- and overestimating the importance of the specific effects of treatments." Or to paraphrase Flip Wilson's Geraldine a few decades ago: "Turn off the reductive love of drugs and look at the human beings for awhile." 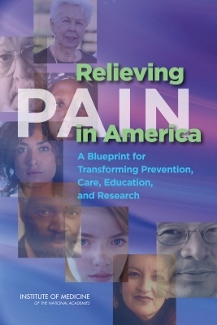 Cherkin argues that his findings exemplify the relationship-centered, whole person view of pain treatment that was the central tenet in the Institute of Medicine's 2011 2011 Relieving Pain in America: "To reduce the impact of pain and the resultant suffering will require a transformation in how pain is perceived and judged both by people with pain and by the health care providers who help care for them." "Step back, take a collective breath." Why? "Restructure the highly reductionist biomedical approach to health, illness, and disease." Why? Our current approach "continues to fall short of meeting the needs of many Americans suffering from chronic back pain and other health problems." What a great idea: Hit the pause button on the pain center of the medical-industrial complex and the reductive research industry that has given us the opioid epidemic. Just say no to an approach to pain that still typically promotes reductive pharmaceutical strategies. Cherkin's advocacy tempts me to a Trumpian suggestion. While leaders of this machinery are pausing, why not tie their hands to the chair and put a cloth in their mouths to force them to listen to the story medicine of patient-centered rather than reductive, mechanism-centered chatter. 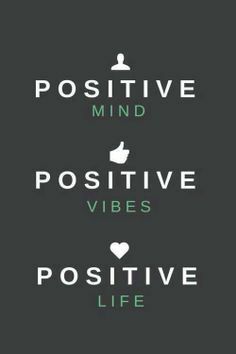 "positive changes in emotional states"
"changes in thinking that increased the ability to cope with back pain"
"improvement in physical conditions unrelated to back pain"
"dramatic improvements in health or well-being." Cherkin's team adds that "the first five of these themes were mentioned for all of the ... treatments, while others tended to be more treatment specific." Imagine how these outcomes would be splashed around the media were these associated with a pharmaceutical intervention. We need more scientists like the veteran Cherkin to courageously call for this practical, patient-centered view. We need this redirection to climb out of the reductionism that led us into the dark cul-de-sac of the opioid crisis. We need this new whole person approach to research, and to care, to propel the new moral, patient-centered, value-base era for which the medical industry's transformative leaders are calling. When past American Hospital Association chair Jonathan Perlin, MD, PhD took over his position he wondered how the medical industry can move from "sick care to health care." He mused aloud: "I'm not sure that any of us ... fully understands or knows the recipe."